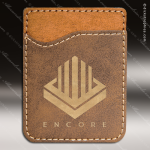 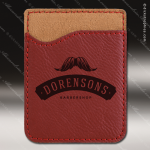 The one thing most people seldom leave behind is their cell phone, and with this attractive phone wallet that holds up to 2 cards you’ll know you also have your ID or credit card handy. 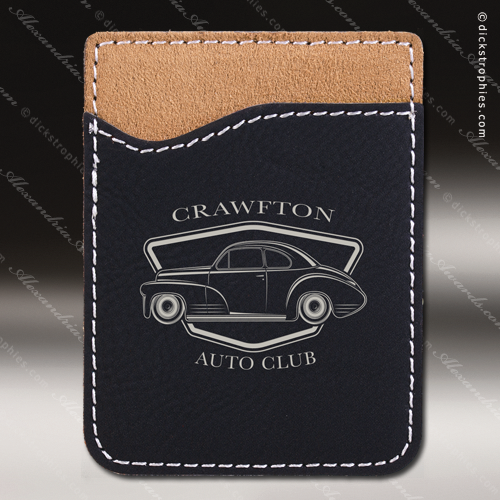 Made of gray leatherette, a beautiful faux leather material, the wallet has a 3M adhesive backing to easily attach it to your phone. 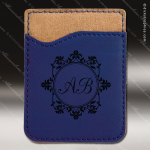 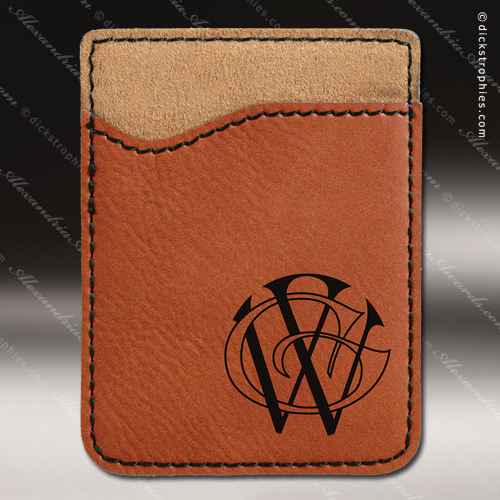 The front can be customized with a logo for a unique promotional item, or as a useful personalized gift. The black personalization and top stitching offer an elegant look. The one thing most people seldom leave behind is their cell phone, and with this attractive phone wallet that holds up to 2 cards you’ll know you also have your ID or credit card handy. 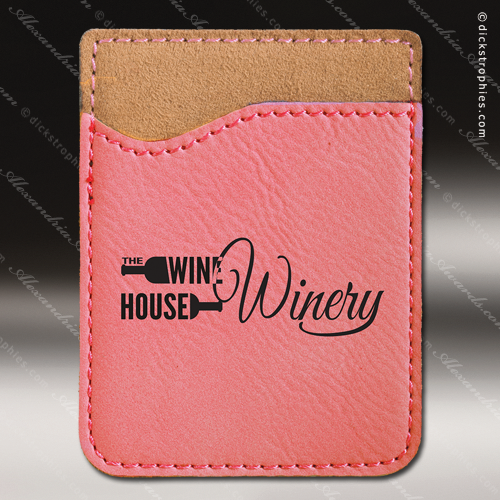 Made of pink leatherette, a beautiful faux leather material, the wallet has a 3M adhesive backing to easily attach it to your phone. The front can be customized with a logo for a unique promotional item, or as a useful personalized gift. The black personalization and top stitching offer an elegant look. The one thing most people seldom leave behind is their cell phone, and with this attractive phone wallet that holds up to 2 cards you’ll know you also have your ID or credit card handy. 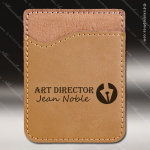 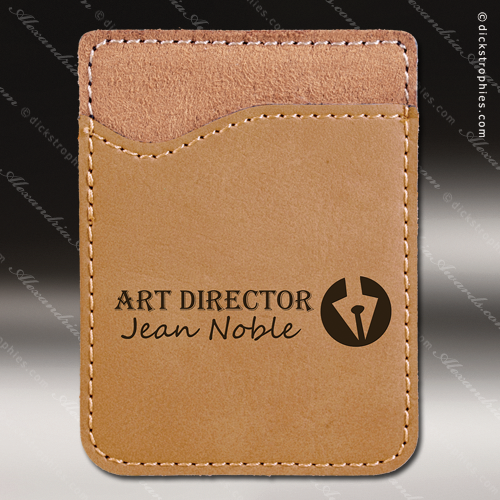 Made of rose' leatherette, a beautiful faux leather material, the wallet has a 3M adhesive backing to easily attach it to your phone. The front can be customized with a logo for a unique promotional item, or as a useful personalized gift. 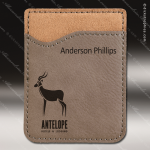 The black personalization and top stitching offer an elegant look.